Adele Nicholas, the one-woman band behind Axons, is on a musical high as she releases a new album this winter, Unmanageable which follows the debut of her EP Inter Vivos earlier this year. 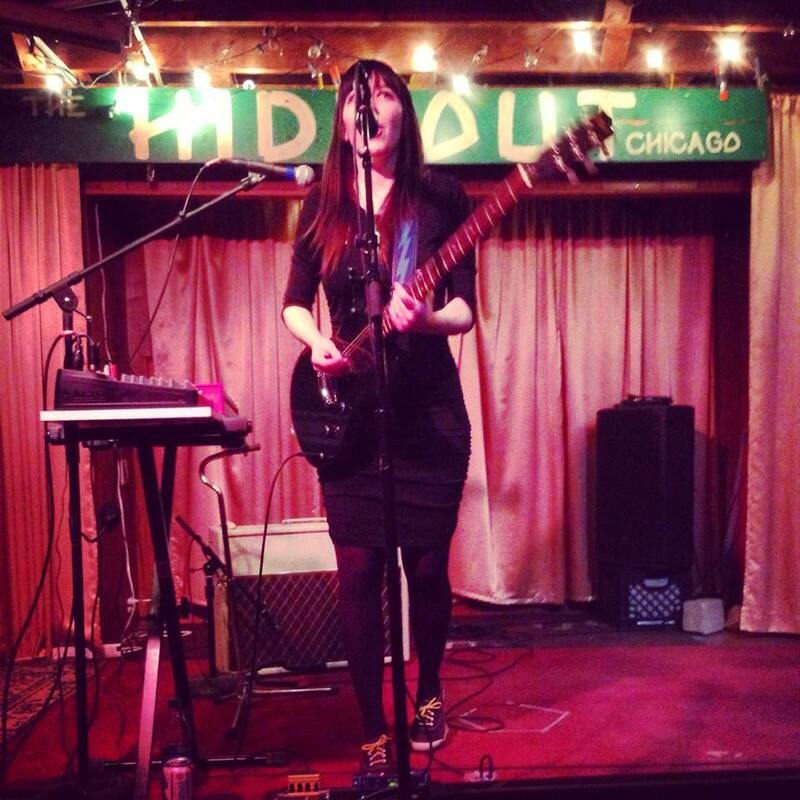 Adele Nicholas is the one-woman band behind Chicago-based music project, Axons. Her new album, Unmanageable, showcases the artist’s gift for songwriting and her keen knack for electronica while exploring themes of loss, faith, skepticism and transcendence, often through the lens of her experience living with multiple sclerosis. She celebrates the album’s release with a performance at Empty Bottle on Tuesday, Dec. 11 where she’ll be joined by Spaces of Disappearance, Moritat and Zigtebra. Details here. When she’s not Axons, Nicholas is a civil rights lawyer who represents victims of police misconduct and employment discrimination. We spoke with her about her various music projects, her independent record label and her relentless optimism and energy. I’m interested in making pop music that is immediate and accessible in terms of melody and structure. I like a lot of top 40 pop and all of my favorite music is stuff that I can sing along with. But I think that a major shortcoming of a lot of recent pop music is its generality — the lyrics are often so vague that they are somewhat relatable to many people but truly meaningful to none. 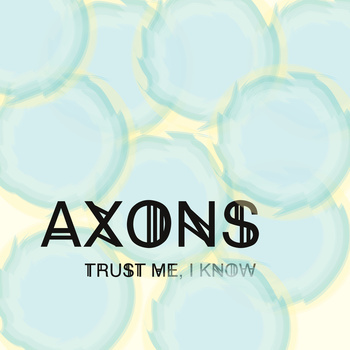 My aim with Axons is to explore intellectually and emotionally complex topics within the confines of pop songs. Describe being emotionally intimate on this recording in comparison to other music you’ve created. What did you learn about yourself during this recording? I was diagnosed with MS in 2011. My experience living with a chronic illness and the ways in which that impacts one’s identity and sense of self was the genesis of Axons and something I was interested in understanding more deeply through songwriting. Many of the songs on my new record contend with that topic. For me, living with an unpredictable illness like MS has cast a new light on several questions that women already often have to deal with: how and to what extent is my identity bound up with my body? How do we find integrity in an embodied existence that tends to degrade us? The song “The Athlete,” for example, is a discussion of social attitudes towards illness and disability and looks critically at how we fetishize the idea of resiliency. We put tremendous emphasis on the necessity of overcoming bodily limitations, to the extent that we are actually afraid and ashamed of acknowledging those limitations. “Wrists Hands Fingers” is about trying to find identity through my mind and my music even when my relationship with and concept of my body is in flux. My live performance is built around live looping and layering of guitars, keyboards, percussion and vocals. I’ve struggled to find a way to write songs that work both in that context and in the context of a recorded piece of electronic music (with the layering and details that I love creating). Trust Me, I Know is the first song I’ve written that I think straddles the line successfully. The recorded version feels complete to me, but it is not so layered and complex that I can’t perform all of the parts live. You seem to have a deep connection with other Chicago artists, especially female-fronted music projects. What have you learned and what has changed during your time playing the Chicago circuit? Meeting awesome women musicians has been a rewarding and inspiring part of being a musician in Chicago. I love the community and the opportunity to support other bands who are using their talents and creativity in powerful ways. I think that women are becoming more visible in our local scene all the time, in part because we’re so cool about supporting each other’s projects and building each other up. I am excited to be part of planning Frontwoman Fest (along with Elaine Davis of Spaces of Disappearance) which is going to be an all-day festival on February 21 at The Burlington celebrating local bands with a strong female presence. In a broad sense, Inter Vivos is about the difficult task of balancing fire and inspiration with stability and peace in our adult lives. More specifically, the song looks at a certain person in my life who is very exciting, vibrant and passionate but at the same time can be volatile and destructive. In Inter Vivos I’m struggling with the question of to what extent it is possible to have the passion and fire without the volatility and capacity for destruction. Does being a one-woman band make a difference when booking gigs? Yes! It’s definitely a challenge in certain ways. One, it’s just harder for a solo act to bring out a strong draw to a club than it is for a band that has say, five or six members. It’s also a huge pain to lug all the gear everywhere. How do you find new electronic gadgets to use with your music? I love gear and I love learning about the tech side of music. I learn a lot about technology from YouTube — teenagers make really good tutorials for basically everything. I also enjoy picking the brains of other musicians who are doing interesting stuff with technology. Aside from ALL that you do in music you ALSO have a music label. (It’s empowering to know this!) Where did this idea come from and how’s it going thus far? 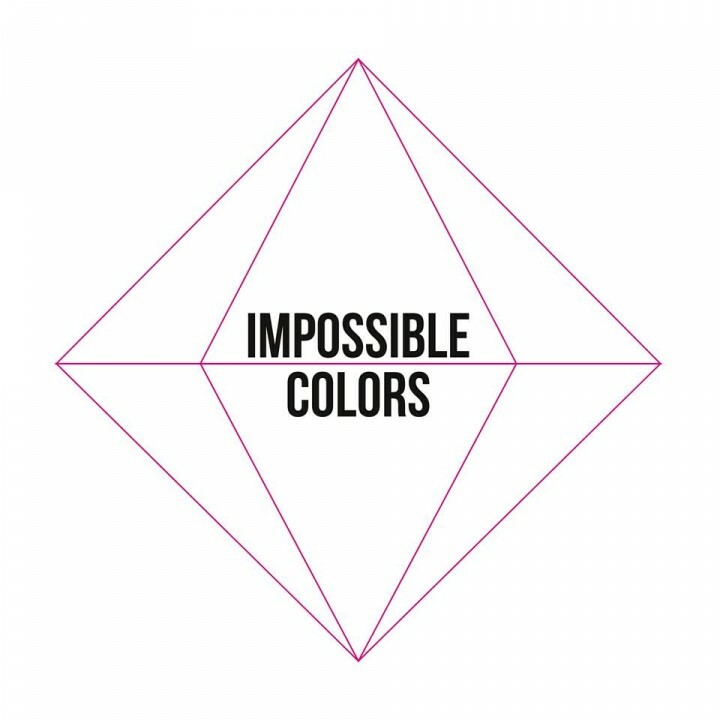 Initially, I started Impossible Colors as a way to release my own music as Axons (and for Puritan Pine, the power pop band I play in). But I also realized that there are so many bands in Chicago that I love who are looking for creative ways to do physical releases. I thought that a series of split cassingles would be a great way to enable bands to do that on a small scale. I’m currently on the fourth one of the 12-month series and it’s been really rewarding and fun so far! I love releasing music to cassette for so many reasons. For one, it’s enabled me to share something handmade and limited edition with people at an affordable price point. I also love the experience of dubbing and assembling my own cassettes and putting that love into a physical product. What are we lacking in Chicago when it comes to music? I love seeing live shows and that continues to be a huge source of inspiration. But I really never stop playing music and singing. It’s something that’s so fundamental to me that I don’t actually feel like I need motivation to do it — if anything, I sometimes need motivation to stop and do other things. Mind recommending a few artists rockin’ your headphones? So many. Some of my favorite Chicago bands right this second are Brash Flair, Spaces of Disappearance, Impulsive Hearts, Evasive Backflip, Doleful Lions, Post Child, and Videobug. I’m really inspired by solo artists who make creative use of technology (especially looping) in their live shows. Three come to mind that truly blow me away in this department: Netherfriends, Natalie Grace Alford, and The Saturday Giant. 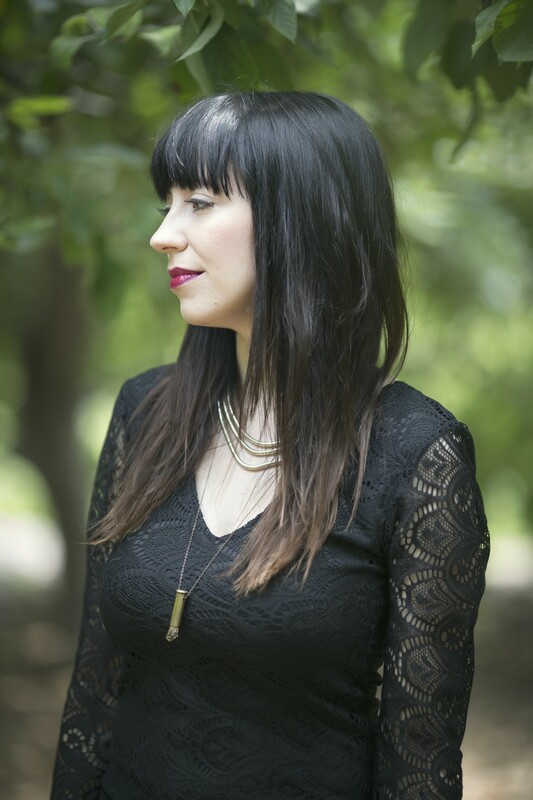 Axons’ debut full length record Unmanageable (the follow-up to her 2014 EP Inter Vivos) is out December 2, 2014, on Impossible Colors Records. Produced, recorded and mixed by Axons in Chicago, it is an emotionally intimate record of thoughtful dance music. She celebrates the release with a show at Chicago’s Empty Bottle on December 2.